What is AML Transaction Monitoring? 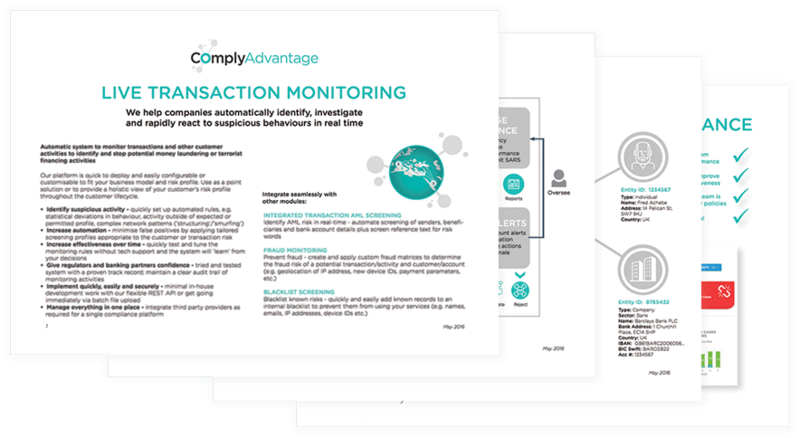 Anti-money laundering (AML) transaction monitoring software allows banks and other financial institutions to monitor customer transactions on a daily basis or in real-time for risk. 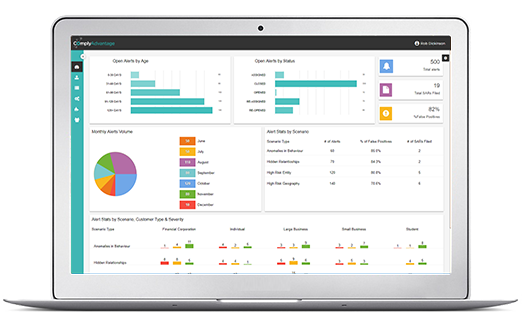 By combining this information with analysis of customers’ historical information and account profile, the software can provide financial institutions with a “whole picture” analysis of a customer’s profile, risk levels, and predicted future activity, and can also generate reports and create alerts to suspicious activity. The transactions monitored can include cash deposits and withdrawals, wire transfers, and ACH activity. AML transaction monitoring solutions can also include sanctions screening, blacklist screening, and customer profiling features. The analysis is obtained primarily for the purpose of meeting various anti-money laundering (AML) and counter-terrorist financing (CFT) requirements, filing Suspicious Activity Reports (SARs), and fulfilling other reporting obligations. Certain Regulators around the world are making transaction monitoring a specific regulatory requirement, in New York State Part 504 does this as does the 4th Money Laundering Directive in Europe for high risk relationships. Broadly speaking, a risk-based approach requires that financial institutions employ intensive measures (such as enhanced due diligence) to manage risk for clients or scenarios that are deemed higher-risk, while for lower-risk clients or scenarios, and where there is no suspicion of money laundering or terrorist financing, simplified measures may be permitted. The nature, scale and complexity of a financial institution’s business. The diversity of a financial institution‟s operations, including geographical diversity. The financial institution‟s customer, product and activity profile. The distribution channels used. The volume and size of the transactions. The degree of risk associated with each area of the financial institution‟s operation.